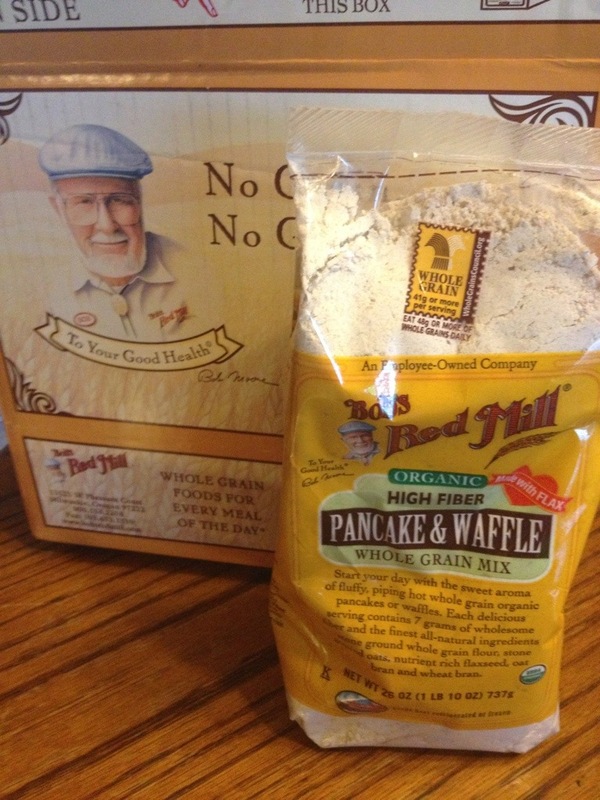 Just got our Amazon shipment of our all-time favorite waffle and pancake mix- Bob’s Red Mill High Fiber Pancake and Waffle Mix– and just in time for tomorrow morning’s waffle with strawberry syrup birthday breakfast for my oldest! Whenever I make this, I double the recipe, replace the 2 eggs with 2 tablespoons of ground flax seed, add a bit of cinnamon, and some vanilla extract. You can place them in the fridge if they will be eaten in the next few days (and they will! ), or you can freeze them and pop them into the toaster. We also love peanut or almond butter, raisins, honey and pure maple syrup on this breakfast favorite- enjoy!